"I am glad that cricket is getting dope control done through an outside agency. But when the entire sports bodies of the country and also of some other countries are trusting our NADA, the cricketers can also do that," Rathore said. 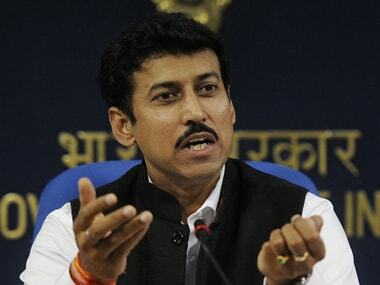 New Delhi: Sports minister Rajyavardhan Singh Rathore on Sunday said the Board of Control for Cricket in India (BCCI) could have ensured dope testing of the Indian cricketers by National Anti-Doping Agency (NADA) but put the onus on World Anti-Doping Agency (WADA) to make the Indian board compliant to its code. Rathore made the comments when he was asked about the BCCI's strong response that NADA had no jurisdiction to conduct dopes tests on Indian cricketers. "I am glad that cricket is getting dope control done through an outside agency. But when the entire sports bodies of the country and also of some other countries are trusting our National Anti-Doping Agency, the cricketers can also do that," Rathore said. 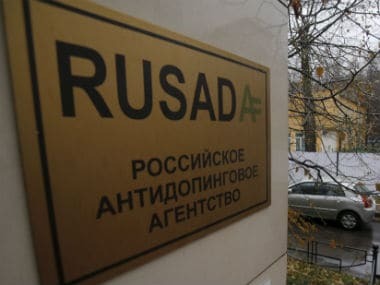 "However, we leave it to the World Anti-Doping Agency; it is their prerogative. As the ICC (International Cricket Council) is registered under the WADA, they have to abide by the doping standards. So, it is upto the WADA to ensure that they can dope-test the cricketers," he told reporters at the sidelines of the Delhi Half Marathon. The minister said the question of the dope-testing of Indian cricketers could be sorted out. "We don't have any issues with that specifically, we have many more sports to take care of and we are proud of all the sports," he said. In a stern response to the NADA, the BCCI had said that government body had no jurisdiction to conduct dopes tests on Indian cricketers. In a letter written on 8 November to NADA chief Navin Agarwal, BCCI CEO Rahul Johri made it clear that there was no requirement for the NADA to test its cricketers since the board is not a national sports federation and its present anti-doping system is robust enough. Talking generally about doping in sports, Rathore said, "For us three things are very important - players, coaches and fans. When doping happens, the fans are cheated. So every organisation need to ensure that there is no cheating in their sport and cricket is no exception." Rathore was also asked about two-time Olympic-medallist and comeback man Sushil Kumar, who won a gold in men's 74kg freestyle competition at the National Wrestling Championship after three rivals gave him walkovers, but the minister said the issue was not in his domain. "Everyone has the right to come back to the sport and especially Sushil has given so much to the sport. The way the events are conducted is not in my domain," he said. "There is a federation for it that takes care of it. I am sure the federation is well aware and very fair and equal to all.